The Elite™ Expandable Interbody Fusion System represents the next generation of expandable technology. 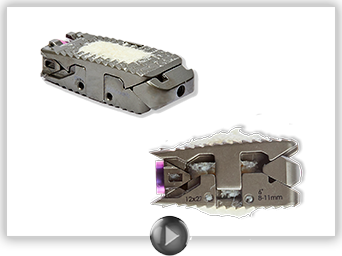 Its unique design minimizes both neural retraction and insertion force, accommodates a larger graft channel than many competitive expandable cages, and provides controlled expansion to restore disc height, potentially providing indirect decompression. When paired with Incite Cortical Fibers, Elite’s clinical advantages promote fusion and quick recovery while conserving patient anatomy.